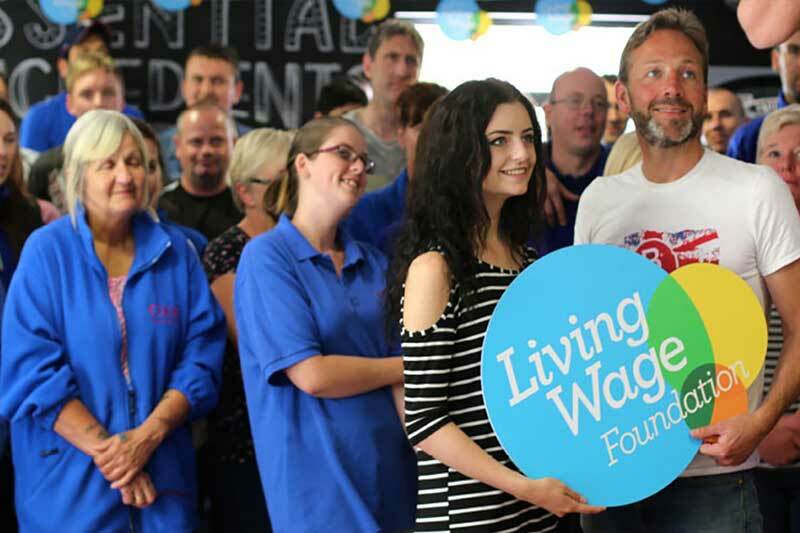 The Living Wage Foundation grew out of the Living Wage Campaign which originated in London. The campaign was launched in 2001 by members of London Citizens, a community organisation which subsequently developed into the nationwide community organising institution Citizens UK. The Living Wage Campaign called for every worker in the country to earn enough to provide their family with the essentials of life. They are the organisation at the heart of the independent movement of people that campaign for the idea that a hard day’s work deserves a fair day’s pay. They celebrate and recognise the leadership of responsible employers who choose to go further and pay a real Living Wage based on the cost of living, not just the government minimum. All companies in the group, are at or above the standards of the foundation. The organisation was established in 2011, publishes an annual Living Wage figure and accredits employers who pay the wage. From November 2017 the Living Wage rate is £8.75 per hour outside London and £10.20 per hour within London, a 3.6% increase on the previous year’s figures. To learn more about the Living Wage Company visit their website.